Hey there! We said our 100th episode was going to be Star Wars but it isn’t. That’s a long story and we’ll tell it to you someday. 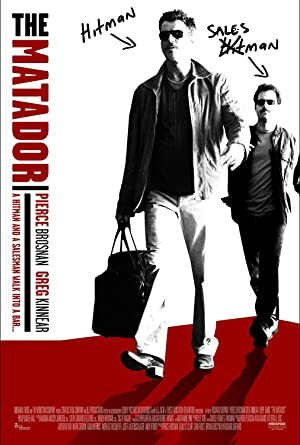 Instead, we are joined by Barb Lind to watch The Matador featuring Pierce Brosnan! Brosnan took on this role shortly after his final Bond film and it is a nearly perfect deconstruction of the Bond persona. The film also features Greg Kinnear as a perfect foil for Brosnan’s foul mouthed assassin. The soundtrack is also pretty fantastic. So we’re sorry about Star Wars but we hope you watch this film because it is delightful! Next up, we will be watching Casino Royale!